The current Philips Park was one sixth of the medieval Pilkington Deer Park. The area of the park became a separate landholding in the seventeenth century. In about 1800 Robert Philips, a prominent Manchester textile merchant, acquired the park and built an Italianate villa there. The Philips family owned the the Park until 1946. The last owner was the famous local philanthropist, Anna Maria Philips. After the death of Miss Philips in 1946 Prstwich and Whitefield Councils jointly bought the park. 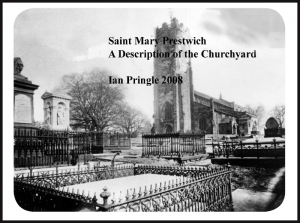 Ian Pringle tells the story of this remarkable family and the development of their estate. This beautiful and well produced book is lavishly illustrated with original drawings and photos. An absolute must for anyone familiar with Philips Park or interested in the history of Whitefield. Price : £5-00 plus £2.00 p&p.